Not quite sure what to expect from a visit to Newman Brothers Coffin Works? We did some filming before we restored the building and put the contents back thanks to AIM Biffa funding. Let Michael, our narrator, give you a flavour of the factory tour room by room, telling you a little bit of what you might hear on a tour. But, remember, when we filmed it was still a crumbling factory and no where near as impressive as today! When you visit in person, you’ll also get smells and sounds, things to touch and live machinery demonstrations which will create an authentic atmosphere. This film will start setting the scene for you, but do come and visit, there is so much more to discover! A Taster of Newman Brothers from BirminghamCT/Garbi on Vimeo. 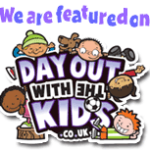 If you want a really detailed look at how a tour moves through the factory, how long we spend in each room and what noise levels are like, please watch the film we made for our Autism-friendly Relaxed Experience which we run once a month. 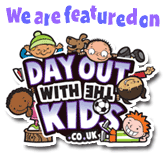 We’re also featured on Days out With the Kids website.